Boun-SEE: The Birds Need A Christmas Tree Too! The Birds Need A Christmas Tree Too! 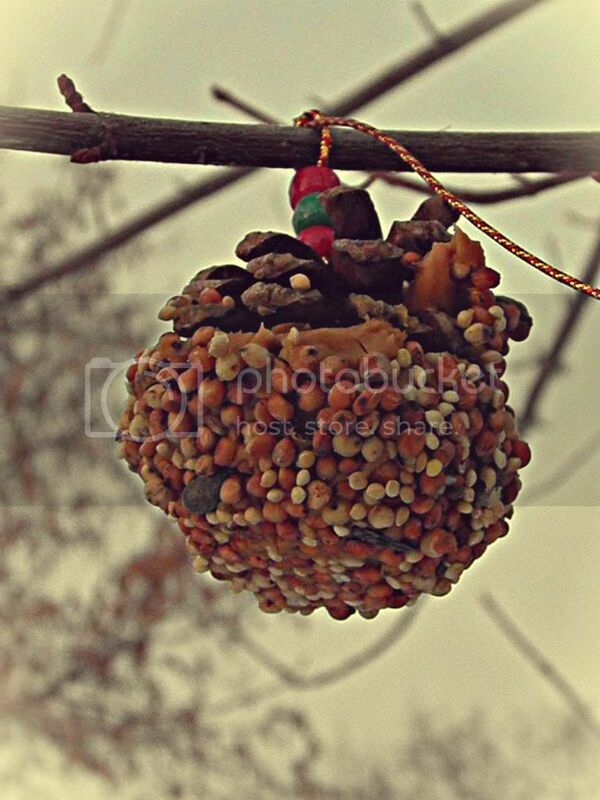 One of our advent activities this month was to decorate a tree outside for the birds squirrels. After we found, cut down, and decorated our family indoor tree, we thought it would be fun to make one for our neighborhood critters too. I had some pinecones leftover from a pinecone project I'll be posting about soon. 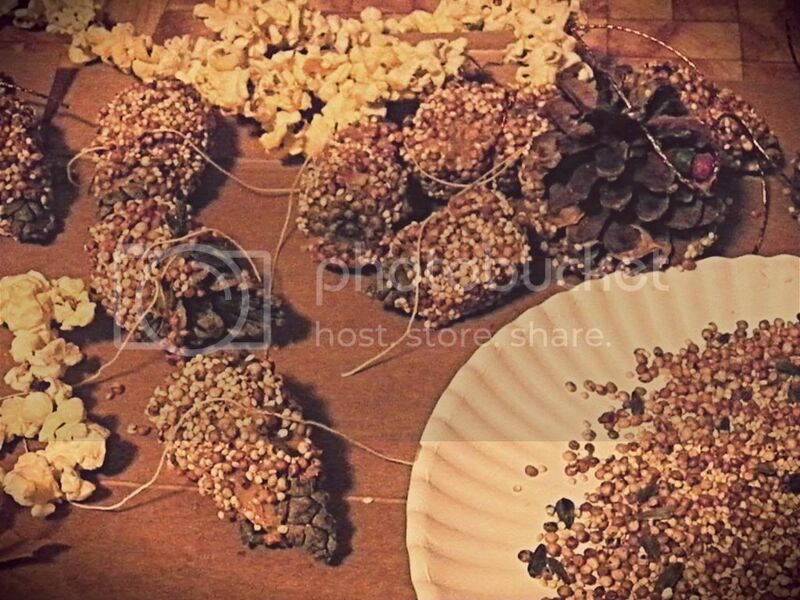 We decided to coat each pinecone in peanut butter and roll it through bird seed. Grandma also helped Peanut make a popcorn garland earlier in the day to up the festive factor. 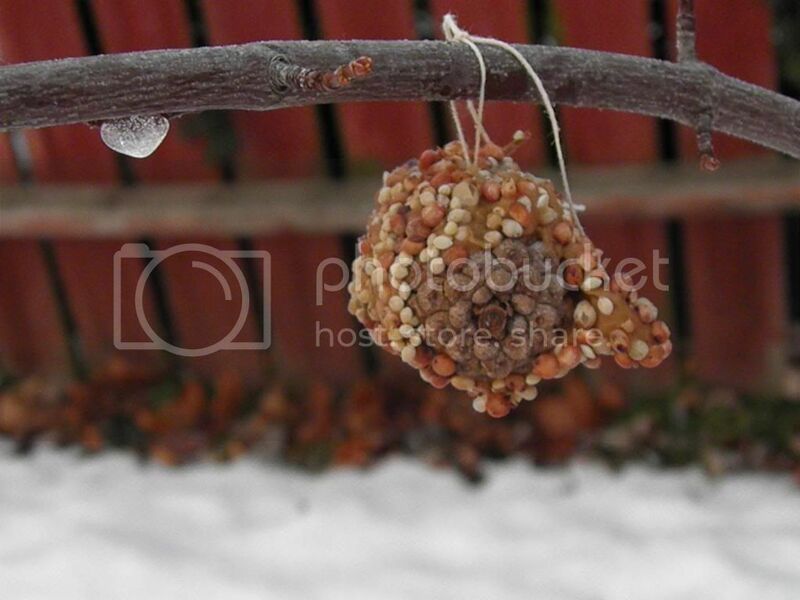 We hung the bird feeders and popcorn garland on a small, reachable tree in the backyard. Later the next day, daddy watched a squirrel cut through the ribbon with his teeth and haul off a pinecone bigger than his head. That little bugger. I wish I had a picture! Watching how the pinecone treats were being consumed through the window made for a good laugh, a good story and a good feeling. I hope to continue these decorating antics every year at Christmas. I'm pretty sure decorating an outdoor tree is going to become a family tradition we stick to as closely as we do our visit to the tree farm for our indoor tree. It's so much fun! A simple way to bring a little extra brightness to these regular days as we continue counting down to Christmas. Plus, the whole experience made for some pretty special family time. Any tips on how to feed a little more bird, a little less squirrel?